Just update in 7/2018 I will reveal never before published information of how program trading runs the Crude Oil Trading Markets. See how the programs and robots trade the price actions. Same patterns repeat day after day, you just don’t know what to look for. We break it down day by day on how to trade Crude Oil, Monday through Friday. When are the precise times to trade, and how to avoid the chop. Nowhere the market is going, how to nail tops, and know when the bottom or reversal is going to happen in crude oil trading. 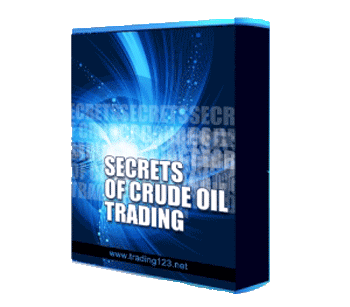 This learning experience will greatly improve your crude oil trading, trade crude oil like a computer robot each day, this is the best methods used to trade crude oil. Trade like the professionals, price moves up and down like a ladder, so put the price ladder to work and profit from the levels. The method is easy to learn and put to use in your daily crude oil trading. You will never trade your old style again, once you see how program trading and price ladder works you will be trading the price levels and reversal points and they repeat each day. Also get our new Trading123 Open Indicator, no the trend before the market opens. The indicator is for use with the NinjaTrader Trading Platform. This indicator is deadly accurate in trading crude oil, no the trend and be able to trade it quickly. The video explains all the details on how to use and start trading right away. Upon payment you will be sent a link to download the software and the video. Trading123 Color Moving Average Indicator, use this to spot trend reversals. Trading123 Open Indicator - Use this to see where the price action can go for the day. When to go long, when to go short. Very accurate and precise.